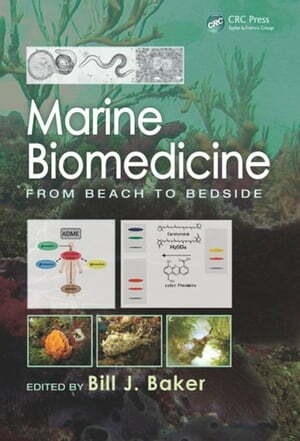 Collins Booksellers - Marine Biomedicine: From Beach to Bedside by Baker, Bill J., 9781466582132. Buy this book online. Marine Biomedicine: From Beach to Bedside assesses current efforts in marine biomedicine and evaluates the implications of recent advances on the future of the field. Richly illustrated in full color to enhance reader comprehension, the book covers four sections. The first one addresses the technology that has recently been brought to bear on the study of marine natural products, including omics and bioinformatic techniques. The second focuses on lead discovery and reviews various products and their biomedical potential. Examples of clinically successful marine products and discussions of approaches to the clinic are presented in the third section while the last section discusses prospects for the future of marine biodiscovery. Highlighting new technologies, this valuable resource provides an overview of both what is currently possible in the field as well as a detailed look at what is being done in marine natural products research.